I'm sorry if this is like the millionth post you've read this week saying exactly the same thing, but Google Reader is shutting down today. If you use Google Reader to follow blogs including mine, you won't be able to do that any more. I'm told Google Friend Connect will still be here, so if you have that connected to Blogger you can see posts in your Blogger Dashboard, but no more Google Reader. 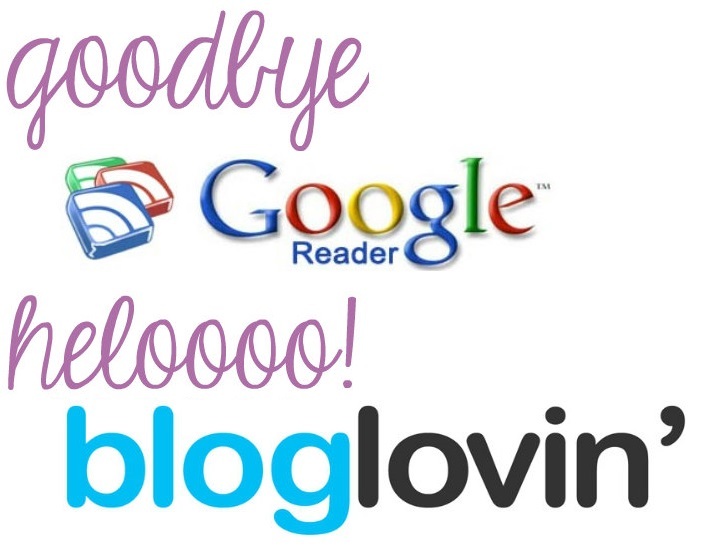 I think the best alternative to Google Reader, and the one I've gone with for all of the blogs I read, is Bloglovin'. They have a little tool on there which allows you to import all of your blogs from Google Reader, and you can log in with your facebook account if you prefer that to setting up new details. I'm not sure if Bloglovin' will still be able to import from Google Reader after today - I'm guessing not - so if you want to move all of your subscriptions over it might be a good idea to do it now. I really value all of you lovely people who read my blog, leave me interesting comments and contact me by email, so I really hope we don't lose touch. If Bloglovin's not your thing you can still keep in touch on twitter or facebook. My twitter feed updates automatically when I have a new blog post - my facebook isn't automatic but I try to remember to update my latest posts on there aat least once a week, and I also have instagram - my username is fluttersparkle.